Observation - Destroying Angel - UK and Ireland. 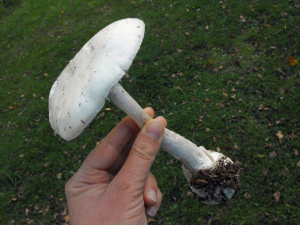 Description: Striking Amanita. All structures white. Volva, bulbous stem. Sweet smell. Near birch. Striking Amanita. All structures white. Volva, bulbous stem. Sweet smell. Near birch.